Mike De’Shazer based in Seoul has used the awesome Raspberry Pi 3 mini PC to create a new personal virtual assistant named Kobo, that he has this week launched via the Kickstarter crowdfunding website. Kobo is looking to raise $30,000 over the next 38 days and comes in the form of a cube, equipped with the Raspberry Pi together with other components such as speakers and microphones. Kobo is available to back via Kickstarter with pledges starting from $199 for the Kobo DIY kit or $299 for the early bird Kobo assistant fully assembled. Worldwide shipping is expected to take place towards the end of the year during December 2016. Its developer explains a little more about what you can expect from Kobo. Watch the videos below to learn more about Kobo and its features. 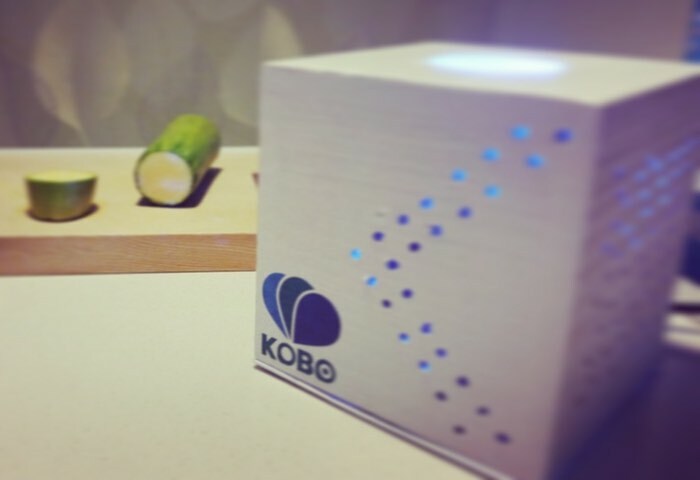 Kobo connects to your Wi-Fi network via our Hello Kobo app and communicates with Kobo A.I, a set of artificially intelligent neural networks and relational databases running in the cloud. If you get the DIY Kit, you can connect Kobo to your own API endpoint to build custom interactions and change the voice. 1. Current mass-market smart home devices are actually not that smart, especially when it comes to remembering things for you, having casual conversations, and making personalized recommendations based on their experiences with you. We are changing that with Kobo. 2. If you put a personal assistant in your home (whether it is digital or not), it should be open to you. That’s why we are open-sourcing our hardware and software. We have built a custom operating system called KoboOS, which our hardware runs on to deliver Kobo to you.